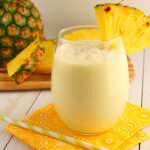 This Pina Colada recipe will be your new favorite happy hour drink! 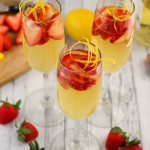 Made with four simple ingredients, this fantastic champagne punch is perfect for parties, showers, Sunday brunch and girls nights! 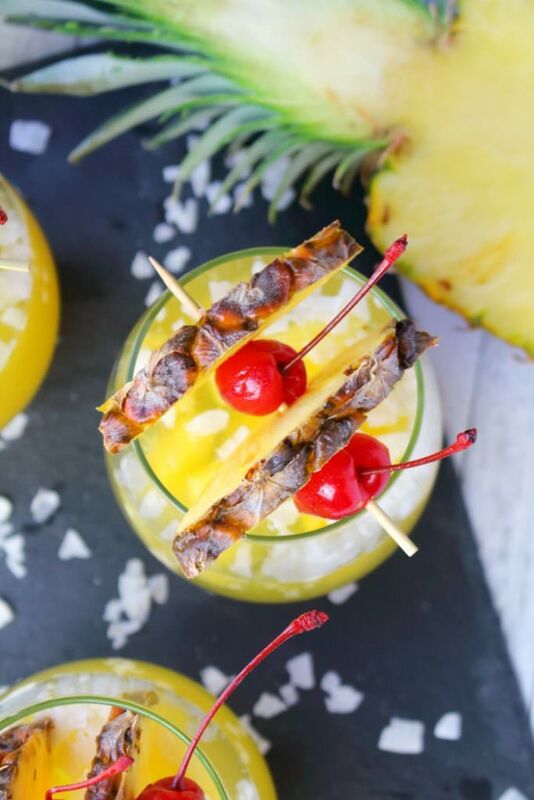 Forget the blender, this amazing pineapple coconut cocktail is super easy and completely delicious! Even though we’ve had an unusually mild, almost non-existent winter, summer can’t get here quick enough. I’ve been getting very tired of my bulky sweaters and am really looking forward to the days of wearing shorts and sandals. I’m longing for the days of sitting in the sunshine, and sipping a cold, delicious drink. 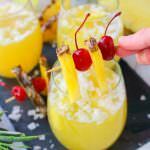 Which brings me to my latest drink creation – this fabulous Pina Colada Champagne Punch! 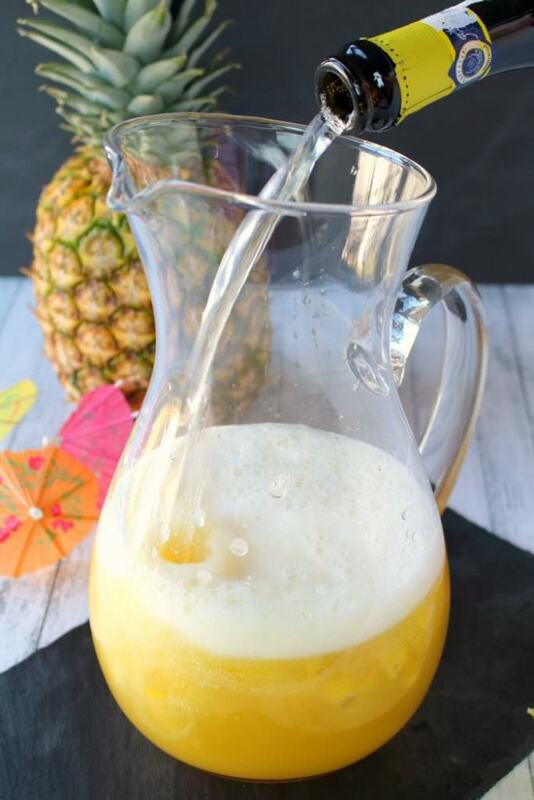 Much like my popular Pina Colada Smoothie this easy champagne punch is made in just a couple of minutes with just a few simple ingredients! It’s perfect for parties, bridal showers or just a lazy afternoon for you and your favorite lawn chair. 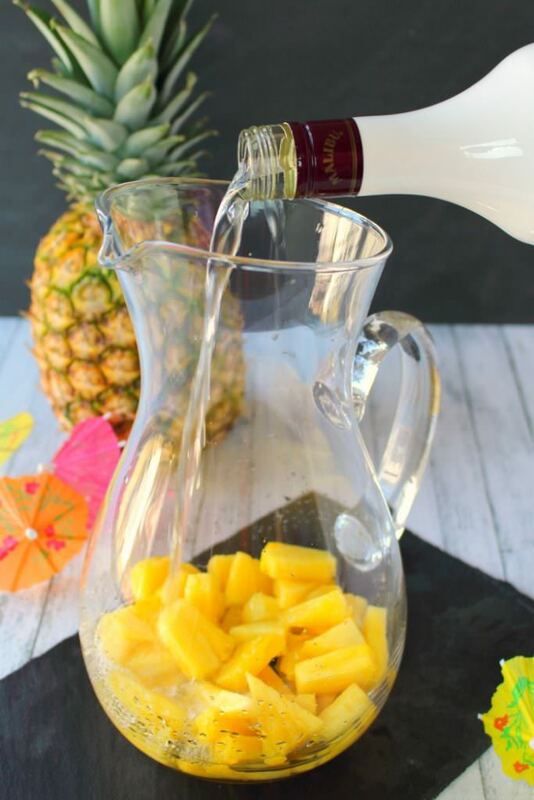 Let me show you how simple this Pina Colada Champagne Punch is to throw together – no blender necessary! 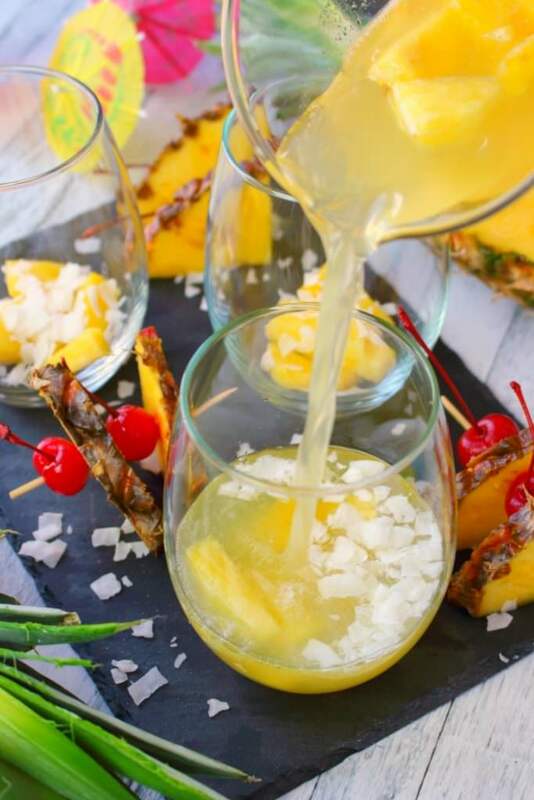 I had a fresh pineapple sitting on my counter that I needed to slice up, however, frozen pineapple works great for this champagne punch. Add it frozen right to the pitcher, as it will help chill the rest of the ingredients. 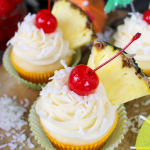 On top of the pineapple, add your favorite coconut rum. I like using Malibu rum – I think it smells like a tropical vacation! Mmmmmm, so good! 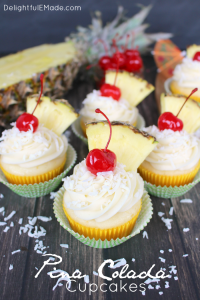 I added simple pineapple juice from the can for this recipe. If you’re making and serving this punch right away, make sure you chill the juice first, as this champagne punch tastes the best served very cold. Note: If you have extra pineapple juice (I had quite a bit left from the can I bought) pore the juice into ice cube trays and freeze it. You can add the cubes to the next batch of punch you make. 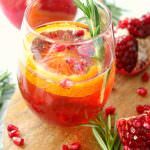 For this recipe, feel free to use your preference of any sparkling wine, champagne, Moscato or Prosecco. Don’t hold back – pour in the entire bottle! If it bubbles up, let the bubbles go down and pour in the rest. 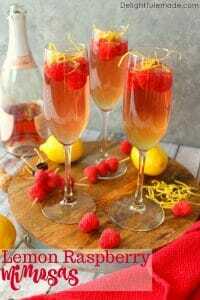 Simply give the champagne punch a stir, and pour into your favorite wine glasses or champagne flutes. I added some pineapple slices and flake coconut to the bottom of each glass. 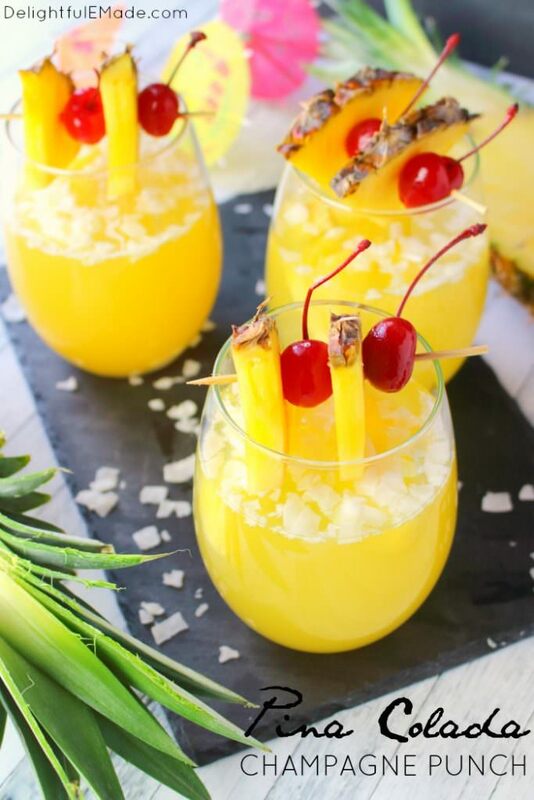 It’s a great way to ensure each glass has plenty of pineapple and the coconut adds a pretty pina colada garnish to the top of each drink. Step 5: Garnish and Enjoy! 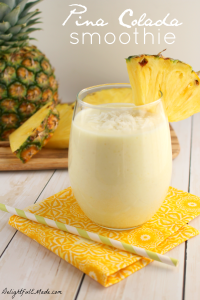 This Pina Colada recipe will be your new favorite happy hour drink! 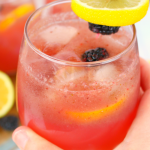 Made with four simple ingredients, this fantastic champagne punch is perfect for parties, showers, and girls nights! 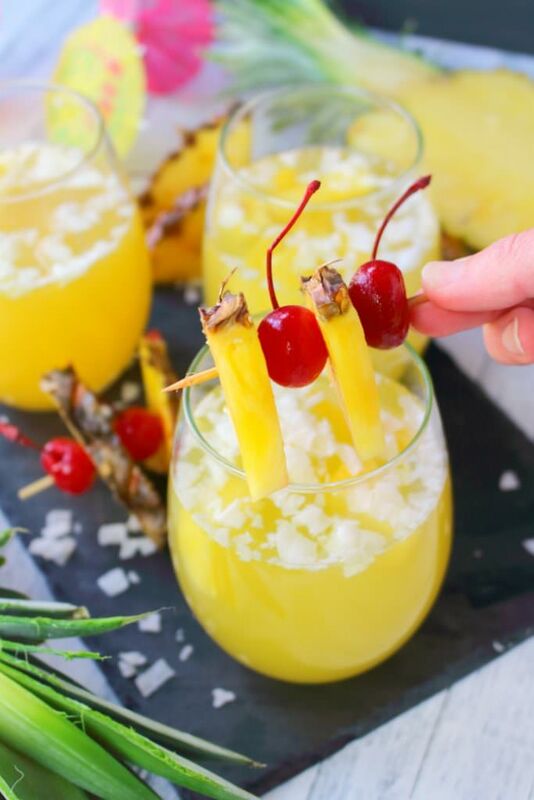 Forget the blender, this amazing pineapple coconut cocktail is super easy and completely delicious! 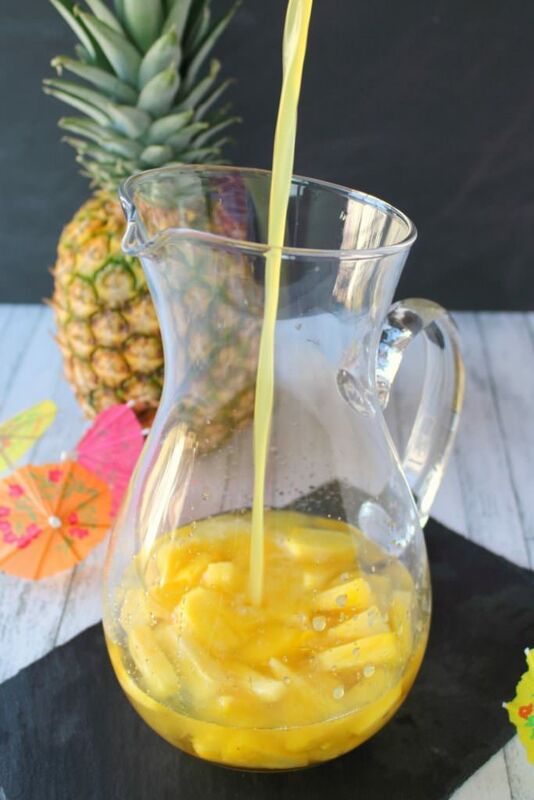 In a large pitcher, add the pineapple chunks. 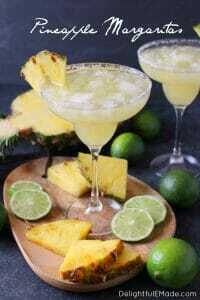 Pour in the coconut rum, pineapple juice and champagne. Stir to combine and chill for at least 1 hour. Chill all of the ingredients before mixing the punch if you would like to mix and pour the drinks immediately. 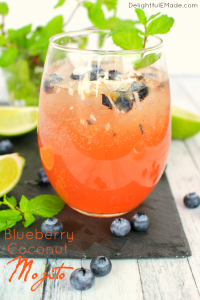 I'm dreaming of warmer temps and the beach...this drink MUST be made ASAP! ;) YUM! Thanks for this delicious and fun recipe! 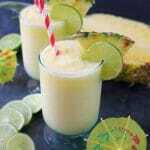 I haven't had a pina colada in years - what a great way to have one. Can't wait for afternoon deck hanging out days. Thanks for sharing at the What's for Dinner Party! I rarely drink anything alcoholic but if I do it's probably going to be a Pina Colada. 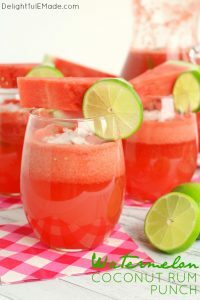 This looks like an amazing drink. Pinned. Oh yeah. Bring on the flavors of summer! Thanks for sharing at the What's for Dinner party!! Have a fabulous week.